There is a time-honored saying, "War is hell," and it was no exception for The Fighting 69th Infantry Division. Much hardship was endured and many lives lost. 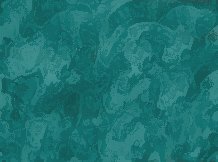 Unfortunately, the number of lives lost varies with different records. The "69th Infantry Division Pictorial History," published in Germany, August 1945, names 394 Division members and 23 attached Units members who lost their life. 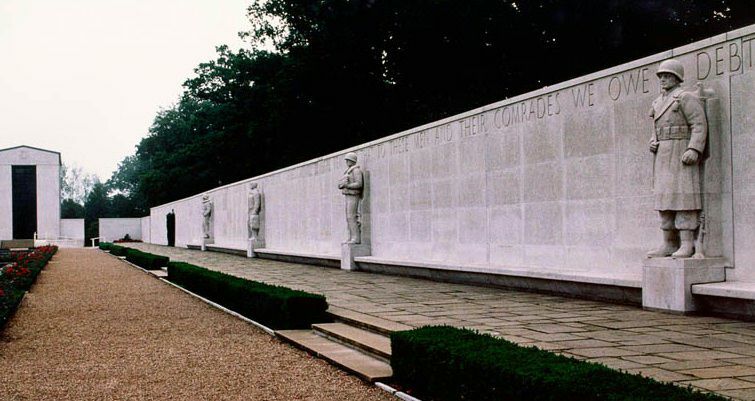 Our Combat Narrative on this site states 341 Killed in Action and 42 Died of Wounds, a total of 383 lives lost. 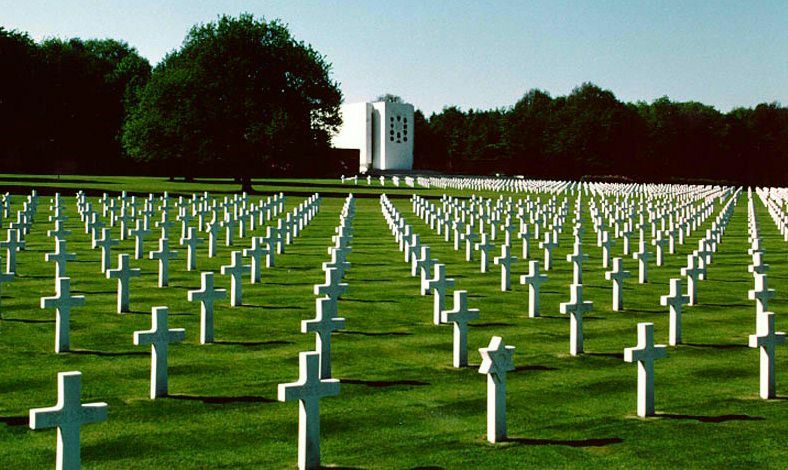 Many of those who died overseas did not return home and are buried in one of the European military cemeteries amongst Allied comrades. 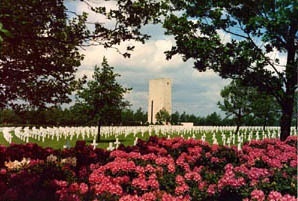 Each April 25th, the anniversary date of the historic meeting of East and West (The Fighting 69th Infantry Division and the 58th Guard Division, First Ukrainian Front), The Fighting 69th Infantry Division Association, Inc., places roses and American Flags on the burial sites of fallen 69'ers. 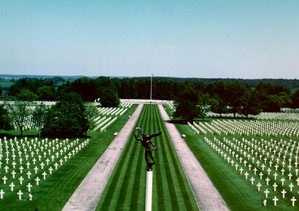 The WWII Netherlands American Cemetery and Memorial which is the only military cemetery in the Netherlands--101 graves. 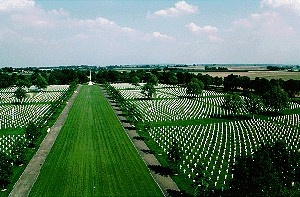 This cemetery lies in the village of Margraten 6 miles east of Maastricht. It is rich in historical background, lying near the famous Cologne-Boulogne highway, originally built by the Romans and used by Caeser during his campaign in that area. The highway was also used by Charlemagne, Charles V, Napoleon and Kaiser Wilhelm II. 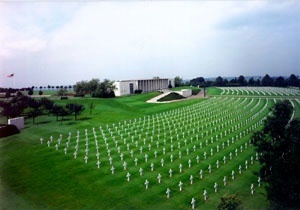 Henri-Chapelle American Cemetery--56 graves--located 2 miles northeast of the village of Henri-Chapelle, Belgium which is on the main highway from Liege (18 miles) to Aachen Germany. Henri- Chapelle is 4-1/2 miles north of The Welkendaedt Exit (7 miles from the German border) on the Aachen-Antwerp Autoroute. American Military Cemetery-- Madingley--Just outside Cambridge, England--1 grave.